1. 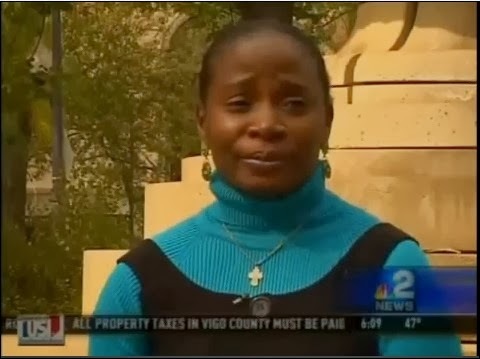 Melongo's Computer Tampering case, the case that spawned the Eavesdropping case, is set for trial a week from tomorrow: June 24th, 2014. The case is nearly eight years old, has seen SIX judges, FIVE private lawyers and FOUR prosecutors. Carol Spizzirri, the criminal complainant, can’t plead the Fifth nor refuse to testify; therefore, this trial set the stage to know about the millions of dollars siphoned out of Save A Life Foundation. To learn more about this case, click here. 2. Additionally, Melongo has filed a Civil Right lawsuit based on the recently dismissed Eavesdropping case by the Illinois Supreme Court. Among others, she claims Equal Protection and names prosecutors in the State Attorney and Illinois Attorney General offices as defendants. To read this conscience-shocking complaint, click here or here. 3. Melongo is represented in both cases by Jennifer Bonjean, a New York-based lawyer practicing in Illinois. Will the trial move forward? If so, will Carol J. Spizzirri -- a former Chicago big shot and media darling who now lives in a mobile home park in San Marcos, CA and ducks reporters -- show up to testify? I'm truly grateful to Attorney General (Lisa) Madigan, (Cook County) State's Attorney Alvarez who've Invested the manpower, resources, outside forensics and special training over these years to convict Melongo. 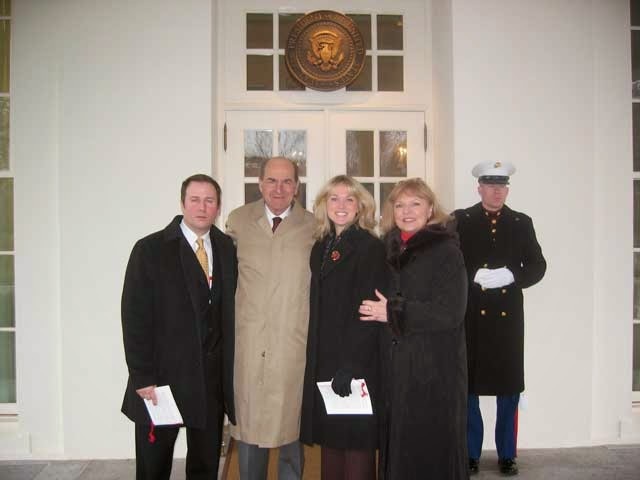 Invited guests to the White House, 2005. Former Save-A-Life-Foundation Public Affairs Representative Dane Neal, my father, former SALF Director of Communications Ciprina Spizzirri, and her mother, Carol J. Spizzirri.